Call it moonlighting, multiple jobs or, in Japanese, kakemochi — the practice of a single worker handling two or more jobs simultaneously has become increasingly common, certainly more so today than eight years ago when my friend juggled eight positions. The government apparently wants to encourage this social trend. In the conclusion to a report on a 2014 survey, the Small and Medium Enterprise Agency scolds businesses for not permitting their employees to hold other jobs. “Multiple jobs has yet to become a prevailing practice, with only a small number of companies permitting it,” the agency says, noting that 85.3 percent of companies prohibited workers from holding other jobs. “Embracing the notion that trusting employees and wholeheartedly letting them hold other jobs will improve their abilities and broaden their horizons — and therefore lead to corporate growth — will encourage corporations to permit moonlighting,” the report states. The agency said the purpose of the study was to increase Japan’s lagging new business creation rate, and that encouraging job-juggling will spur the economy and create new jobs. The idea is that if the government gets serious about pushing job-juggling, workers will no longer have to hide their moonlighting activities. They’ll be free to juggle jobs openly. This will boost workers’ income, helping their families make ends meet. The advantages will go beyond just the pecuniary: Workers will no longer be tied to corporations like slaves! The era of lifetime employment and single-minded dedication to a single corporation is over! Workers will be able to bounce and hop from job to job like rabbits! Hmm. I like rabbits. At first blush, this sounds so attractive. But not so fast: Does job-juggling really mean freedom and ease for workers? In general, seishain regular employees work wildly long hours, including overtime. The way workers are assessed comes down to: The longer they stay in the office, the more they can gain respect for their contribution to the job. This is the first physical and mental obstacle to workers embracing other jobs. Most regular employees are also prohibited from holding other positions in the official work rules. This prohibition is called a kengyō kinshi kitei. Irregular or contingent workers, on the other hand, have fixed-term contracts and are often paid by the hour rather than a monthly salary. The amount of work and therefore income they can earn is limited by changing shifts, and their work hours are often chopped up into little units. Many of these workers have no choice but to juggle jobs just to make ends meet. She works at a family restaurant during the day, gets home around 5:30 p.m., prepares dinner in 30 minutes, eating alone before her kids eat, then rushes off to an express delivery service company where she works until midnight. Then she knocks out the graveyard shift on weekends at a nursing care facility. A daily average of 14 hours of work barely earns her ¥240,000 a month. She has no savings. Her main income is the restaurant, but even that is a one-year contract ending March. (This report was published before March of this year.) With that weighing on her mind, she goes to Hello Work to look for a job starting in April. She says she has trouble sleeping each night due to anxiety that she may have no job come April. 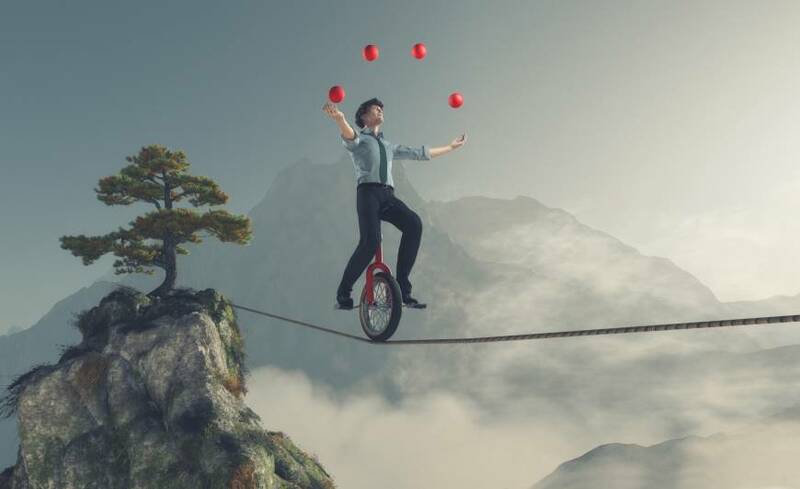 The phrase “job-juggling” therefore means different things to regular and contingent workers. When job-jugglers work insanely long hours, they are expected to take full responsibility for physical ailments or illnesses caused by overwork. Abe praises job-juggling as a way to foster entrepreneurship and “open innovation.” Such factors would in turn help boost the economy and give a boost to Abenomics, perhaps? I cannot help but suspect the real purpose is to support Japanese business, regardless of what effect it has on workers. In April 2009, Catherine was diagnosed with stage four breast cancer. Although she rejects the notion that holding so many jobs at once somehow caused her cancer, she does admit she was “so busy I didn’t take the time to go get diagnosed” until the lump was too large to ignore. Late diagnoses can be deadly, but Catherine eventually quit all her jobs and returned to her native Nova Scotia, where she lives a healthy, productive life with almost no evidence of the disease. One problem Catherine had when she was first diagnosed was that she was not enrolled in the shakai hoken employee health and pension system. With jobs split into pieces, it is much harder for employees to gain enrollment in shakai hoken. The enforcement agencies in general will not act unless an employee is working more than 30 hours per week at a single job. National health insurance covers 70 percent of medical bills but offers no wage loss coverage. Likewise, unemployment insurance enrollment requires 20 hours per week at a single job. Even if the worker manages to get enrolled, they are unlikely to get benefits if laid off because even if they lose one job, they will still have others. They won’t technically be unemployed. Inasmuch as workers “juggle” jobs, it also make sense to say that employers juggle employees, hiring and firing them with increasing frequency and ease. Whenever we hear phrases like “worker mobility,” we should understand it to mean “worker insecurity,” which in turn presses wages down. If a worker has only a tentative toehold in each workplace and must often look for work, they are unlikely to demand higher wages. How much less likely are they to muster the courage and time to unionize? They will be desperate and thus more likely to accept poor conditions. On top of all this, multiple jobs means a lot of meaningless time commuting, the costs of which may or may not be reimbursed. Wanna hear something startling? Section 1, Article 38 of the Labor Standards Act stipulates that if you work more than eight hours a day or 40 hours a week in total for two employers, then the employer who has you work the hours exceeding those markers must pay you at overtime rates (usually time x 1.25). The problem is, most workers don’t know about this rule and wouldn’t try to get this extra pay even if they did. The employer is even less likely to go out of their way to pay the extra, so for all intents and purposes, this article is a dead letter. So what about if you work yourself to death in multiple jobs? In Japan, corporations that drive you to karōshi, or death from overwork, can be held responsible for your death, but what if two employers are involved? Who is responsible then? The Labor Standards Inspections Office usually only recognizes karōshi for industrial accident insurance (i.e. workers’ compensation, or rōsai) in cases where a worker exceeded 80 hours of overtime a month. But inspectors won’t award rōsai to surviving family members if multiple companies were involved in working their employee to death. The system is just not set up that way, so the bereaved have no redress. When I hear Abe talk about transforming the way we work, I can only imagine he wants to transform the way we are worked by corporations. When he talks about “freedom” and “liberation from the yoke” of employment, I furrow my brow. Workers will know true freedom when “working conditions shall be those which should meet the needs of workers who live lives worthy of human beings,” in the words of Article 1 of the Labor Standards Act.